Power on the go? Why didn't you ask? We've got plenty! 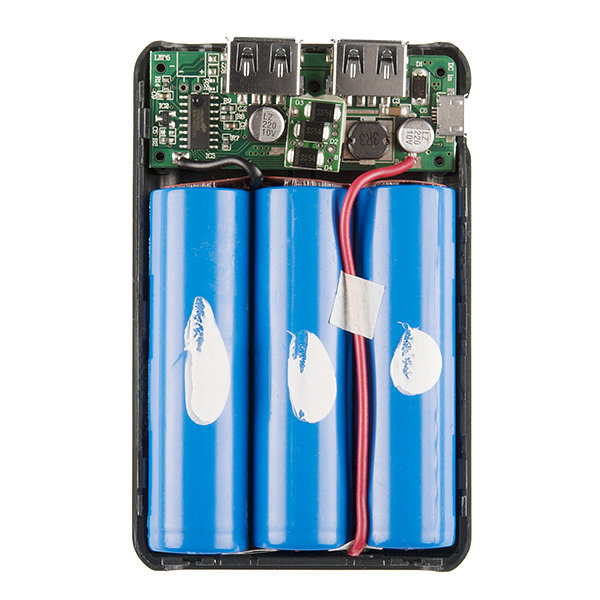 These portable, rechargeable lithium-polymer battery packs are simple, compact and make for a great way to power your widgets in the field. Best of all, they're dead simple to operate: Just connect your device to one of the two USB ports on the battery pack and press the power button. The LEDs will alert you to the charge level of the battery and start powering your device. 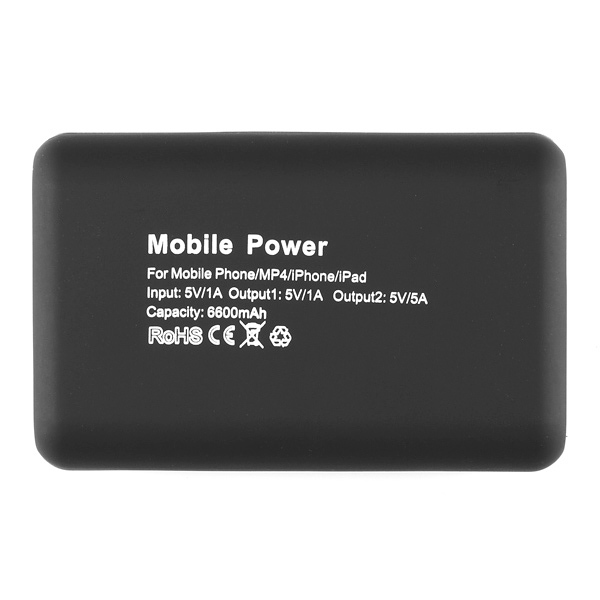 The battery pack will turn off on its own when your device stops drawing power from it. To recharge the battery pack, just plug it into your computer or phone charger using a USB micro-b cable. 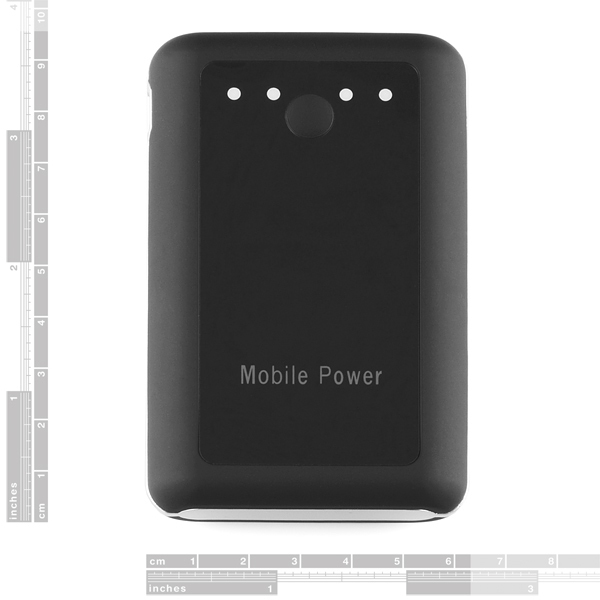 This particular battery pack has a whopping 6600mAh capacity and will source 5V/1A at one port and 5V/2A at the other. Note: Contrary to the video below, this pack will only charge or power a device; it can't do both at the same time. I just used this to power a Raspberry Pi with the PiCamera for a high-altitude balloon experiment. The battery easily lasted for the 4 hours it took to recover the payload, with about 3/4 charge remaining. Can this (or any of the other units) be charged and supply power at the same time? I also second the request for the weight of these units. It weighs 6.6 oz (185 g). Is it 6600mAh at the 5V output (33 watt-hours) or is that the total capacity of the 3.7V batteries (which would be more like 25 Wh)? That is actually a really good question. . .one that I would like to know the answer to as well. Judging by the batteries in the pic of the internals, it is the capacity of the batteries, not the 5V output. Those cylindrical cells are usually around 2200 mAH each. Does anyone know what the minimum draw is to make sure it doesn't turn itself off automatically? From testing my project the pack stayed on when sourcing about 160mA and turned off when sourcing 80mA. My guess would be the minimum "stay on" draw is probably 100mA. The picture says "Output2: 5V/5A", is that a mistake? The port on the other picture says 2A, so I'm betting yes. Does this unit have OCP/OVP? Edit: heh, well it seems to have some sort of fault mode where after a short you need to plug a charger back in to reset it. Think I'll add a fuse to my circuit just in case. Are those 14500s I see? Hi I just purchased this battery pack! Could anyone help me with what each of the 4 light indicators mean? Does anyone know where I could get a good price on just the batteries? All the batteries on sparkfun seem rather overpriced. Anyone figure out a good way to keep the pack running, short of keeping the button pressed down? When my lilypad restarts, my LEDs go off for a few seconds... aaaand the pack kicks off. Place a 50 ohm, >1/2W resistor in parallel to your actual load. It will draw the ~100mA required to keep the battery on. Kind of a waste though....maybe try adding more LEDs until you're drawing enough current. I'd like to use with the BBB and the barrel 5v rather than the usb. I can get a usb to barrel connector no problem - should I expect any problems from the pack when doing this? Can this power a beaglebone over the USB port? The bb has a wifi adapter on it which requires a 1A power supply to BB. Will it take it over the USB port or would I need a USB to barrel jack connector and connect it that way to the BB? I want to use this as a sort of UPS for a Raspberry Pi to properly shut it down in a car. I was wondering if it's suitable for this purpose and what else I'd need to accomplish it. Basically, when I turn off the ignition, power to the 12V outlet is instantly cut. I'd want the Raspberry Pi to continue to receive power for a few minutes while it can cleanly shut down. 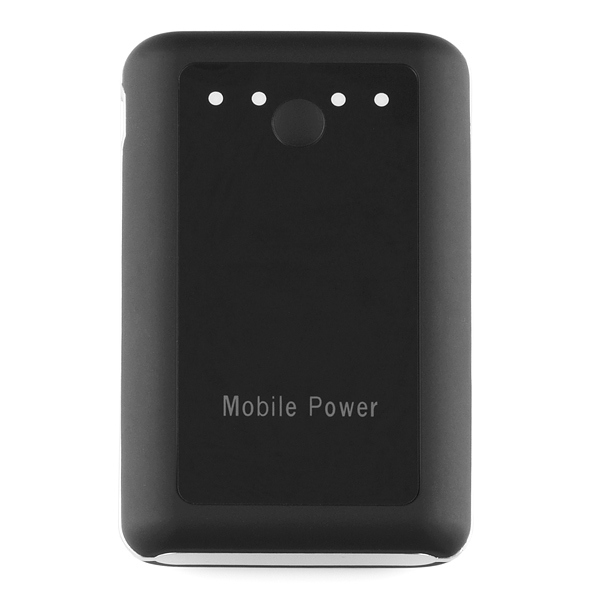 I read in the comments that the device can supply power while being charged at the same time (and I assume there won't be a momentary drop in output power when the input is cut), but does it automatically start outputting power when it senses input power? I don't want to have to manually push a button after I start my car, just instantly turn the Pi on. Do you know if it is possible? I want to do the same. When the current is cut, I need that my raspberry still turn on. This is a great battery pack, used it to charge phone/tablet - that is until I left it on an airplane today! :-0 Will re-order as soon as they're available. two questions: Will there be any problems charging this with solar panel? 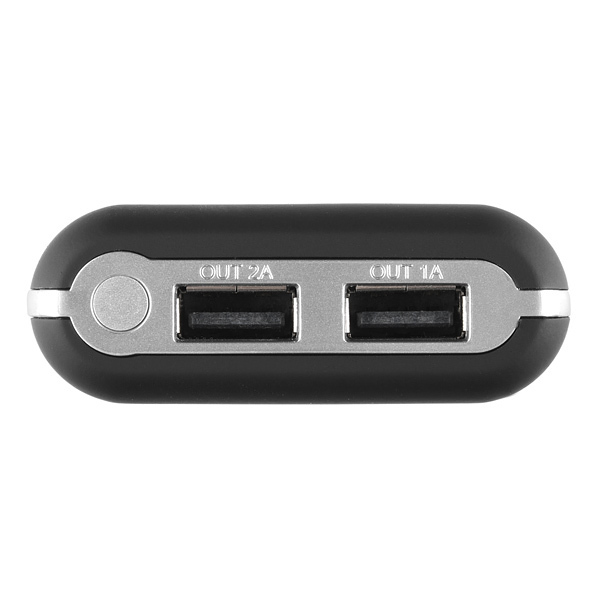 Can you use both 1a and 2a ports at the same time? Can I use both the 1A and 2A ports at the same time? I want to use this to power a raspberry pi and a touch screen from www.chalk-elec.com. Just curious - how would you daisy chain these together? Your device plugs into output port 1 on battery pack A, then battery pack A connects from it's USB mini charging port to output port 1 on battery pack B, then battery pack B's mini charging port connects to another power source, etc. Basically you're charging one battery pack from another so that by using two packs you double the storage capacity (minus the current the battery pack's internal circuitry uses). Sparkfun, can you hook up a decade box and let me know what the min "no load" shutoff is. I'm having trouble powering my digital projects. Would this work for a mobile raspberry pi? So, it says it draws 1A when charging (from USB). Isn't USB only allow to draw 500mA? It says it will source 1A, that means it gives out 1A. So you can run some more power hungry USB devices off of this. If it was sinking 1A, that would cause a potential problem on most USB ports. Edit: Example: Someone just asked if it will work fine for a mobile raspberry pi. And if it was only capable of 500mA, it would not be good. As it's more capable than that, it's fine :). A device can draw up to 1A if it detects that its connected to a charger-only port by sensing that D+ and D- are shorted together. It's standard and is how USB chargers for burlier gadgets work. A device connected to a computer port should not draw more than 500mA. Unfortunately some devices need even more than 1A, notably iPads, and Apple has its own proprietary sensing system which a few people have reverse engineered to supply even more current. It would be helpful to know if this device was properly sensed by an iPad. Yes, the spec is 500 mA, but most ports provide 1A now a days to support USB mobile hard drives. A. cheap- to reasonably-priced, no brand name or somethingFire, iffy operation and internal electronics that only barely seem to resemble anything that does what it's supposed to. B. expensive, brand names usually sold at airports for high mark-ups, work well, but tend to have capacities to laugh at... unless you go for the ones that are just plain unaffordable unless you're flying business class.. in which case you've got a few USB ports and regular outlets to draw power from anyway. There are some good ones out there, but even the usual certifications say little about whether it is a good device and more about radio interference and separation of high from low voltage (in the case of portable chargers that charge straight from mains such as the Duracell ones). Designing a proper one could be a good project for somebody who knows what they're doing, throw it up on a crowdfunding site (look at the ones there now - either they're iPhone cases or giant solar panels / other crazy contraptions) or shoot it to SFE as a widget for them to sell. Unfortunately the 'knows what they're doing' part, last I looked into it, was really more daunting than expected. From the basic electronics (charging / charging+direct sourcing / sourcing) through proper charging profiles to somehow making clear to the user that they shouldn't drop a LiFePo battery in when the selector is set to Li-Ion, nevermind case design... it's no wonder people find no decent middle ground and just enjoy the portable disasters. It works fine with a pandaboard (like a beagleboard). But it does not work with an arduino uno or nano. The arduino module powers up, but powers down after 8 seconds. Simple and sweet. Was able to charge both an iPhone 6+ and iPhone 5S from nearly dead to nearly full. Not sure about longevity, that remains to be seen. I have other USB battery packs that have more mAh but I love the compact size of this one . 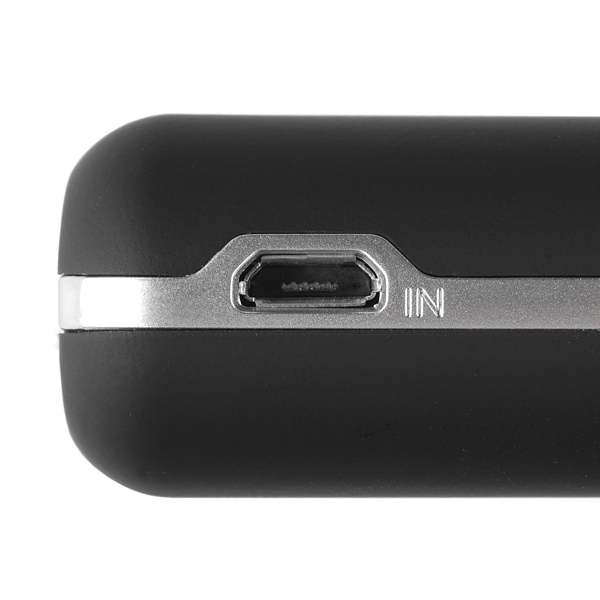 To me, this one actually charges my cell faster and I get more charges per charge of the battery pack.